Marcella was my mother's middle name and I am overjoyed to be able to carry a flower with her name attached. It's a beauty too, pinwheel blooms of narrow petals in coral orange with pink hues deepening as the flower matures. The flowers are a magnet for butterflies and the ripening seeds attract goldfinches. Mom would approve! PPAF. Color: Bright coral to apricot, deepening to sunset pink as the season progresses. 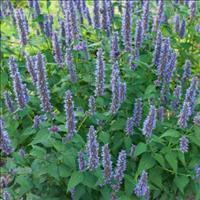 This summer-to-fall bloomer can be set in the ground in early spring when there is still a chance for a light frost, or in early autumn. Coneflower is a butterfly magnet and is welcome in borders with other summer bloomers, or added to meadow plantings for a natural look. They handle hot summer weather with ease and are often cut and added to bouquets. The bristly cone centers are wonderfully decorative, and offer up seeds for goldfinches later in the season, so as summer progresses stop deadheading to develop an abundance of ripe seeds. 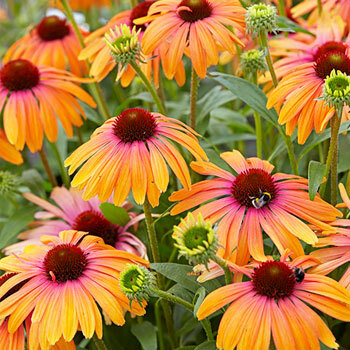 Divide clumps every 4 years in early spring, only if they become overcrowded, making sure to keep a decent quantity of soil around the roots when moving, as coneflowers are taprooted and not easy to transplant. Watering Details: Water regularly to establish plants—provide about 1" twice per week for the first month after planting, and about 1" every week or two thereafter during the growing season, accounting for particularly dry spells. Fertilizer: Provide with about 2" of compost annually in early spring—too much fertilizer will cause the plants to become leggy. 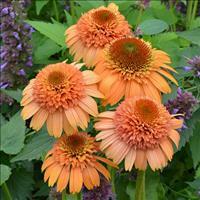 Diseases & Pests: Echinacea is rarely troubled by pests or diseases, though it may be susceptible to aster yellows. While not fatal, it causes distorted green not pink blooms, discolored leaves or "witches broom" growths. Remove diseased plants promptly to avoid spreading. Prevention via insect control and weeding (especially removal of other daisy-like plants, such as dandelions) is quite helpful. Flowering: Tall, resilient stems emerge from the clumps of foliage to display coral-pink daisy-like flowers with yellow-brown centers. The petals will deepen in color with age. Seeds: Flowers will turn into interesting orbs of seeds, attractive to birds in late autumn and winter. The genus Echinacea is named for the Greek word "echinos," meaning sea urchin, referring to the spiny center of the flower.